Paula Ehrlich, President and CEO of the E.O. Wilson Biodiversity Foundation, shares the Half-Earth Project vision and goals with the listeners and followers of EcoJustice Radio. The program is a product of SoCal 350 Climate Action, an organization that envisions a healthy climate through the joining of environmental, social, and economic justice. Carry Kim: Aloha, you’re listening to EcoJustice radio on 90.7 KPFK. My name is Carry Kim and today we’re grateful to be joined by Paula Ehrlich, President and CEO of the E.O. 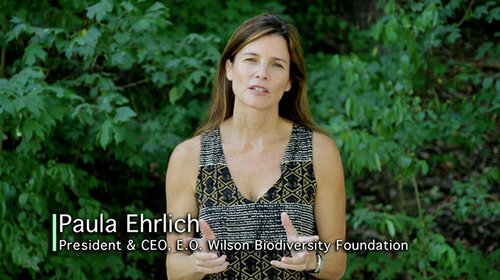 Wilson Biodiversity Foundation, which helps foster stewardship of the Earth’s biodiversity, research and education initiatives and protection of biodiversity worldwide. 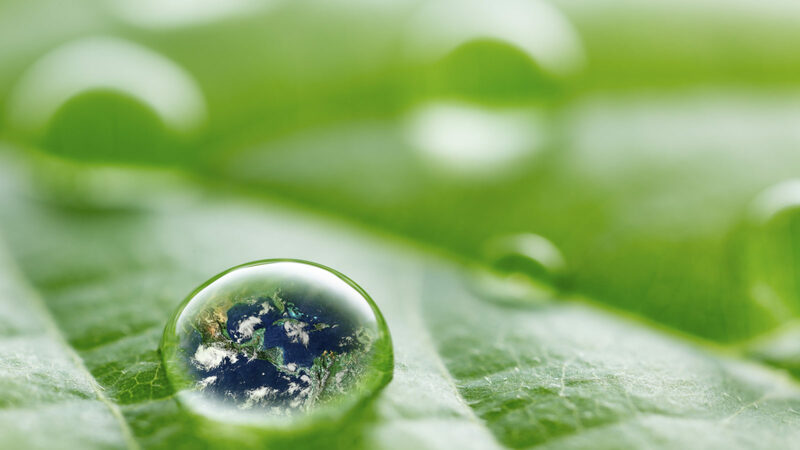 Dr. Ehrlich leads the Half-Earth Project, a project which proposes the goal of conserving half the Earth in order to protect 85 percent or more of species, including human beings. Paula Ehrlich: Hello. Very nice to be with you. CK: Thank you for joining us today on the show. For listeners, first of all I want to introduce for listeners unfamiliar with E.O. Wilson himself. He is an American biologist, researcher, naturalist and Pulitzer Prize-winning author. Half-Earth: Our Planet’s Fight for Life, is one of his most recent books. He was named one of the centuries leading environmentalists by both Time and Audubon magazines. He’s one of the preeminent scientists living today, and is recognized for his pioneering efforts to preserve and protect biodiversity on Earth. So, Paula, I wanted to first ask you—well, I’ll quote something from E.O. Wilson. He has said, “Humanity is currently faced with a momentous moral decision regarding the worldwide extinction of species and natural ecosystems. If we fail to act now, half of all known species will be gone by the end of the century.” So, could you explain to us what is the Half-Earth Project? PE: Oh, absolutely. Well the Half-Earth Project is trying to bring E.O. Wilson’s grand vision for Half-Earth to life. You spoke about Half-Earth as a call to protect half our land and our seas in order to safeguard the bulk of biodiversity. We know that if we protect sufficient habitat, we can provide sufficient home for most of the species on our planet and currently they’re really threatened by an extinction crisis. The rate of extinction is about a thousand times higher now than it was before people came on the scene. That extinction rate, as you quoted, it is going to—if it continues at its current rate—we will lose, as you quoted, half the species of our planet by the end of the century. Now that’s bad for a lot of reasons. Species have evolved exquisitely over the last three-and-a-half billion years in balance with ourselves, and support our lives and our resilience as much of each others. As species go extinct they can have profound effects not only on the environments in which they live and those ecosystems, but also our own. And so it’s with great humility that we need to work to protect what we have until we learn a lot more about it and know how to best care for the species of our planet. “As species go extinct they can have profound effects not only on the environments in which they live and those ecosystems, but also our own. And so it’s with great humility that we need to work to protect what we have until we learn a lot more about it and know how to best care for the species of our planet. The reason that Ed Wilson calls this a moral dilemma is really because—of the 10 million species that inhabit our planet—we’re the one really that has the capacity to understand this and also the power to take care of it. We uniquely can decide the fate of the other species that share this planet with us and have the responsibility of course to care really for the only planet that we’ll ever have. Our home for ourselves and our children. CK: He had an interesting quote where he was speaking about human beings that are choosing to be master rather than steward. Maybe that’s not applying to everybody, but we largely see that. And he also said that we do still have time to set aside half the earth. I don’t know how much time you believe that we really have but what are some of the actual spots where Earth’s biodiversity can still be reclaimed? PE: There are extraordinary places. If you do a biogeographic scan of the globe, there are still some extraordinary places that are rich with biodiversity and unique endemism—species that don’t exist anywhere in the world—that we still have the opportunity to protect. Really it’s just that simple, right? We do have the ability to do that if we understand where those species are and can highlight them as places that need to be managed for conservation. That’s a big project right now. That’s a big effort now of the Half-Earth Project as we work to try to provide that scientific information that can help guide what places we need to protect. And that inevitably is driven by our understanding of where species are all living, what their distribution is at a fine scale, that allows us to guide conservation efforts. “That’s a big effort now of the Half-Earth Project as we work to try to provide that scientific information that can help guide what places we need to protect. And that inevitably is driven by our understanding of where species are all living, what their distribution is at a fine scale, that allows us to guide those conservation efforts. CK: Are there any places in the U.S that that applies? PE: There’s an amazing place in the southeastern United States, in and around the Mobile-Tensaw River Delta. It may be one of the places that has the richest biodiversity in the United States. And yet right now it’s not protected under any sort national park unit or comprehensive conservation plan. It happens to be Ed’s boyhood home. He has a very personal interest in it, but as a nation, as part of our national natural heritage, it would be an extraordinary place for us to prioritize for conservation. CK: Well do you find it disheartening you know with the recent news of the Trump administration and what’s happened with Bears Ears or what’s going on currently with Bears Ears and Escalante and sort of this encroachment back into public lands and our monuments to scale them back and changing land use management practices or that potentiality existing? What do you have to say about that? At a time when we should be doing more conservation in the US, we are moving in the wrong direction? PE: It’s interesting that you asked if it was disheartening. I think that as we all become more fully aware of the risks or the potential risks for environments, I think it’s also activating a lot of people to more fully understand the importance of these places. Certainly the Trump administration may be looking at these places as national natural resources that we should be managing in various ways that drive value to a local area, but those kinds of places also are part of our national natural heritage and they have values that we inherently cherish above and beyond potential economic value. Pride-of-place and biophilia are sort of essential parts of our sense of the special places in our country. And in some cases as we highlight these places that are at risk, we can also begin then to have a conversation about maybe the values of those places that we don’t yet fully understand. But more broadly I think that overall the message needs to be that we need to have great humility about the potential loss of places that we don’t really fully understand yet and that we need to protect until we do. CK: Would you say that there’s greater threat to living species on land or in marine environments or is it sort of equally at threat? Is there some differential between the two? PE: It’s hard to say because in every place and every locality there’s going to be different kinds of threats to different species that we know about and a lot of species that we don’t know about yet. We know probably about two million of the ten million species out there and that’s why the message really has to be one of humility. That until we understand more about all the species that are there we should we should act with with great caution. On the flip side of that, we know in a hopeful sense that if we do protect at least half the habitat of terrestrial and marine species, that we’ll have a pretty good chance of safeguarding the bulk of the biodiversity that lives on land and sea. CK: And you had said, I think it has been stated, that this would be preserved in perpetuity, forever basically. I mean as long as human beings on this planet, that once that it is set aside, that is the goal: it remains such. “With species, once they’re gone, they’re gone forever. PE: Well imagine how wonderful that would be that instead of just incremental progress and addressing individual endangered species that we all kind of elevated or aspired to a goal that we could work towards together. That having reached that solution, that having reached that goal, we would have solved the problem and can relax. And you know also recognize that as we think about what places that we need to protect, in many cases that these are just solutions to how we best manage places to best protect the biodiversity there. It could include places where indigenous people are living sustainably on the land and we need to focus on supporting that. Or where ranchers are ranching land in such a way that it can support the traditional biodiversity that’s always existed on those lands. And so the solutions, not necessarily one solution—a pristine reserve for example—in many cases we’re talking about places that we can—that are human landscapes as well, that just need to be managed with sensitivity to the biodiversity that’s there. CK: You’re listening to Dr. Paula Ehrlich of the E.O. Wilson Biodiversity Foundation on 90.7 KPFK EcoJustice radio. So Paula in response to what you said, E.O. Wilson had suggested that people need a victory and not just to have this incremental progress of saving species by species. “To strive against odds on behalf of all life would be humanity at its most noble.” So how much time do you think we realistically have to establish Half-Earth before experiencing a global collapse in our ecosystems? PE: Well we can predict that about half of species will be gone by the end of the century. That’s soon, right? That’s like 75-80 years. And yet we know what we need to do and we just have to have the will to do so, and the scientific information to guide us there. The difference a little bit between climate change, which we understand what to do. If we determined to do so we can fix that problem, right? But with species, once they’re gone, they’re gone forever. And so we don’t have the opportunity to bring them back. And in that sense there’s a different sort of urgency that needs to be applied to this situation in order to address the problem. CK: Can you speak a little bit about how the research programs are implemented? I know that there’s the research programs to help educate us and also provide the leadership about what places to target for conservation. Could you share a little bit more about how that is actually being undertaken and who are your partners in that? “Our partners in getting to Half-Earth are everyone. PE: Sure. So really our partners in getting to Half-Earth are everyone working in the the conservation community, the general public, and decision-makers and leaders around the world. What the Half-Earth Project is working to do is to honor the deep expertise of everyone’s efforts as we work to convene them towards this goal, which is like a moonshot right? It’s something that we can work together to achieve and in that sense it’s an inspiring new level of participation towards a goal rather than a process. PE: Within the Half-Earth Project, we’re working to provide scientific leadership as a priority right now by working to map the fine distribution of species across the globe. That’s a unique and differentiating effort which hasn’t been done in quite this way to guide conservation efforts before. That scientific mapping effort is being led by Map of Life at Yale, as well as our graphic design partner, Vizzuality, which is in Cambridge, UK and Madrid. By bringing these very talented and deep scientists together with all of the data partners, who have amazing data they’ve collected over the years, and then integrating that in a visually engaging way with information about conservation opportunities and priorities, as well as human impacts, such as populations and mining rights and fishing lanes, we can identify and sort of gerrymander the places where we have opportunity to protect the highest number of species. PE: And then help to guide decision-makers, stakeholders at many different levels on what places we need to target for protection. CK: So would all the results of that research and scientific evidence be publicly available? PE: Absolutely. Our intention is to have that online in interactive maps that that people can engage with. Obviously to publish this information in peer-reviewed journals as well, so that it can be a deep scientific endeavor. But we’re also coming together with all kinds of people who through our Half-Earth Council can provide additional expertise to support our success. So where questions arise around the scientific core – around population or the effects on economics, or effects on indigenous people – we’re trying to bring some of the most profound voices and most sensitive voices to those sorts of issues into the Half-Earth Project and our Half-Earth Council as well, to help inform our success. CK: Could you speak a little bit more about how the Half-Earth Project might address indigenous populations that are losing their habitats and what might we do to also protect their livelihoods and their traditional way of life? PE: Well I think that we need to advocate on their behalf as part of the Half-Earth Project. The scientifically grounded information that we have about the extraordinary biodiversity that they may be shepherding needs to be honored and protected. I think that it’s a tricky one to answer as a whole because of course the situation is going to be unique in each individual place and it’s going to have its own important human element that will need to be addressed locally. But in general where we’ve seen conservation efforts the most successful—and there are many, many good examples of this—the associated economic needs of people who are living in these extraordinary places are taken into account first and the conservation priorities that are unique to that place can be integrated into the promotion and support of a thriving community. A very good example of that is what has happened in Mozambique with the Gorongosa Restoration Project. There’s been tremendous socio-economic support for the people of Gorongosa as they’ve also restored this extraordinary “lost Eden.” And we know in the U.S. as well, that National Park units and other places tend to bring a lot of sustainable economic growth to areas where parks are created. So in general, as we nurture and protect biodiversity, most often we can also point to some tremendous socio-economic stability and economic growth that occurs with that. CK: Well yeah, and I also wonder in situations say for example in Africa with poaching, if the socio-economics were different, would poaching still be an activity that people would want to engage in, if they didn’t need to or if they didn’t feel that that was simple? PE: Well, in Gorongosa, the folks that come in and poach, they’re given a job as rangers. They are the people that know the most about that place and really where they can use that knowledge to sustainably support their families and the park. It’s a win-win for both sides. CK: Absolutely. How would the designated Half-Earth areas be monitored and protections enforced so that there’s not violations or that the protections really remain enforced? PE: That’s a huge challenge of course. And through the Half-Earth Project, we’re trying to provide leadership about what places need to be managed to best protect biodiversity. And in each place how that’s best accomplished, of course, is a very local and regional consideration. But I think that the conversation we’re trying to have is about that management. It’s not just about coming in and protecting or designating a place as protected, but that we really need to think about how that place is also managed to support biodiversity and sustain it. CK: Could you say beyond the obvious threats of climate change and habitat loss, why is extinction accelerating? PE: The threats of climate change…Well we simply don’t know the effects of all different kinds of human intervention on the species around us. So in many cases it’s simply, I think, from lack of information to better understand our planet. Certainly with development and habitat loss, we’re removing the critical habitat that species need for their own livelihoods, but we may not be aware of all the species that we’re affecting with those changes. So even where we try to plan for protection with development, it’s inevitably not comprehensive because we don’t know enough about the species that are there. So a big renaissance in our understanding of species needs to occur in order for us to address those human impacts or understand our human impacts better. We can work to reverse climate change and we can certainly be sensitive to the needs to plan carefully around development, but until we have that information, we won’t really fully know why our actions are accelerating the extinction crisis so dramatically. CK: What is the most dangerous worldview according to E.O. Wilson? We’ve got just like another minute. CK: What is the most dangerous worldview? It’s a chapter in the Half-Earth book. Maybe it is that man is master? Or man considers himself to be master? PE: There is a change in the conservation community as we consider how to best drive value to our conservation efforts. There’s a traditional conservation perspective that we should value nature for itself and a new conservation model that is looking at really just valuing nature as it provides value to people. And where the latter is something that we can understand and sometimes fundraise very successfully about, unfortunately to carry that viewpoint to its farthest extent, we may just end up with a perfectly well-tended garden that no longer has biodiversity in it. We may have created a beautiful dammed river where we can have recreational activities and boats, but we may then have lost three species that needed that river for it’s own livelihood and resilience. So that’s the tricky thing. That we remember to honor species and the value of nature for its own sake. CK: Paula can you explain to our listeners how they can actively support and promote the Half-Earth Project—just giving us a website or places where they can engage? PE: Absolutely. Listeners can take the Half-Earth Pledge, which is at half-earthproject.org. And by signing up for the Half-Earth Pledge, they can personally participate in helping us bring Half-Earth to life and also give us a mechanism for communicating with them about ways that they can participate locally and regionally in conservation in their own communities. CK: So half-earthproject.org, is that correct?